The Faux Whitetail Deer Antler Desk Lamp is fashioned from three intertwined deer antlers. The antlers used to create this lamp were cast from current Boone and CrockettÂ® World's Record whitetail deer then hand stained and painted to create a realistic look. 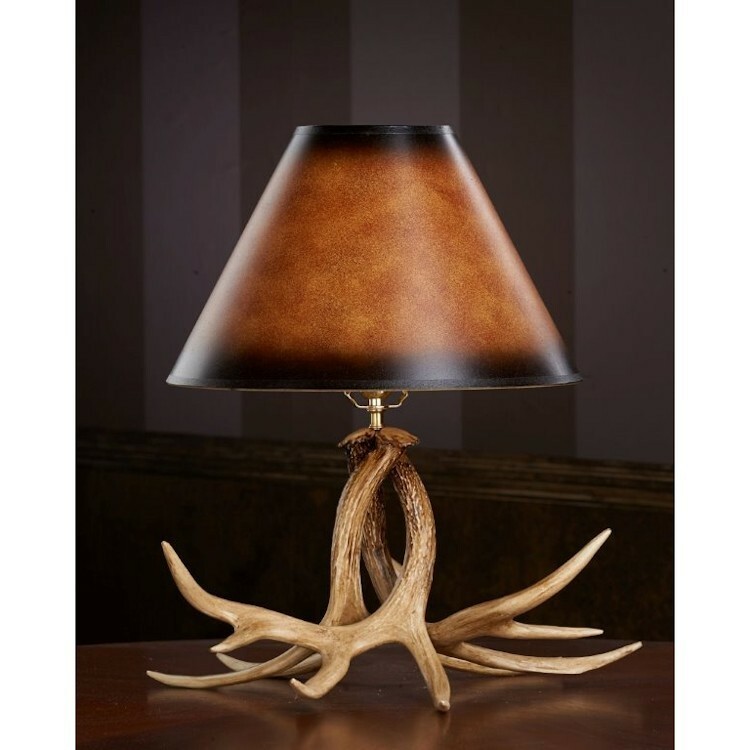 This lamp is covered with a unique two tone shade that perfectly compliment the colors and look of the antler base.